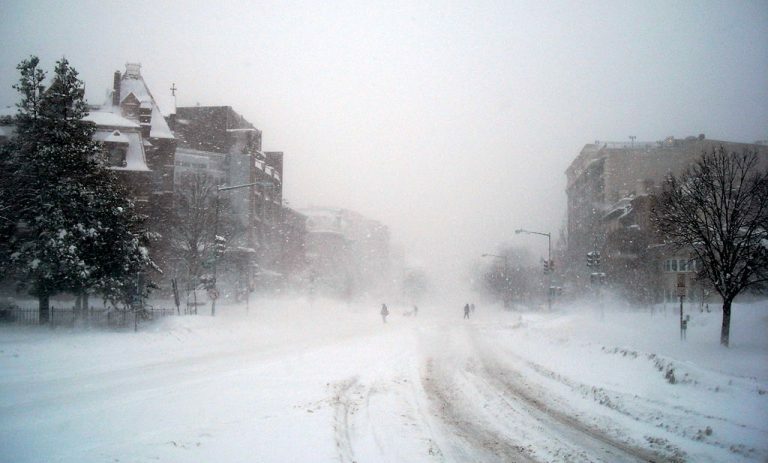 Another powerful nor’easter will batter New England with heavy snow and wind on Tuesday. Parts of the region are still cleaning up from the first two storms earlier this month, with hundreds of Northeast residents still without power. Low pressure will track northeastward from the Carolina coast Monday night toward Nova Scotia by Tuesday night. A mixture of rain and snow will push northward up the Mid-Atlantic coast Monday night and transition to a heavy wet snow across New England Tuesday. Snowfall rates will increase to between 1-3″ per hour in the heaviest snow bands. This is most likely to occur across southeast Massachusetts to southeast Maine. It is in this corridor that the heaviest snow totals are expected. Nor’easter snow and wind impacts Monday night into Wednesday. Boston is expected to see around a foot (30 cm) of snow, while some communities in southeast Massachusetts and Maine are likely to approach 20 inches. Farther south and west, New York will be on the back edge of storm with 1-3 inches of snow expected. In addition to the snow, strong winds near the coast will create blizzard-like conditions at times Tuesday and Tuesday night. The combination of heavy wet snow and wind gusts over 30 mph is expected to cause some additional power outages. 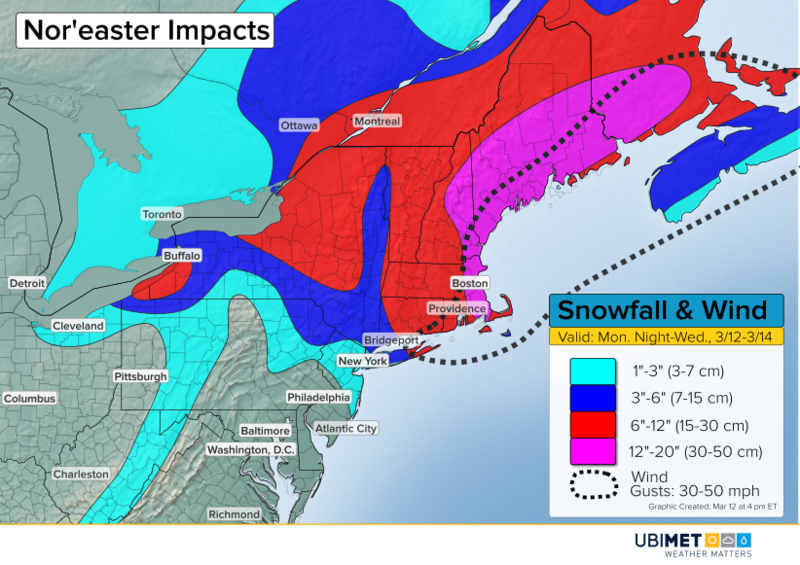 Travel will be hazardous to near impossible at times Tuesday into Tuesday night from southeast New England to Maine. The snow will taper off and end in most places from south to north later Tuesday night and Wednesday.